Many times you need to import data from different databases into your SQL Server database. If you do not have SQL Server Enterprise manager or similar tools then it becomes very tedious to import such data. This is especially true when you are working with SQL Server Express Edition or MSDE. 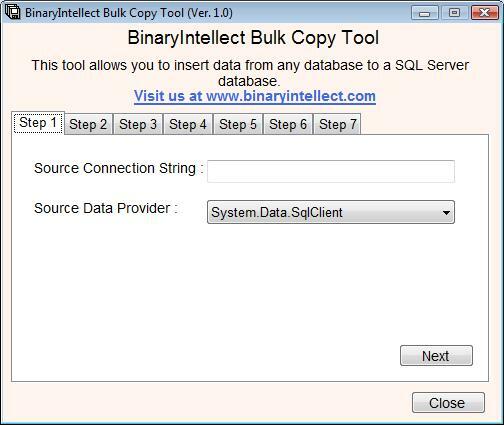 BinaryIntellect Bulk Copy Tool allows you to import data from SQL Server, Access, Oracle and ODBC databases into your SQL Server database. Developed using new ADO.NET 2.0 features the tool is very easy to use and FREE.